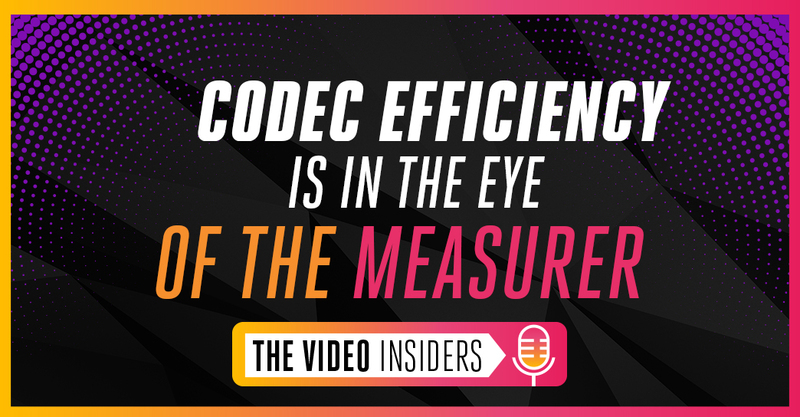 When it comes to comparing video codecs, it’s easy to get caught up in the “codec war” mentality. If analyzing and purchasing codecs was as easy as comparing fuel economy in cars, it would undoubtedly take a lot of friction out of codec comparison, but the reality is that it’s not that simple. 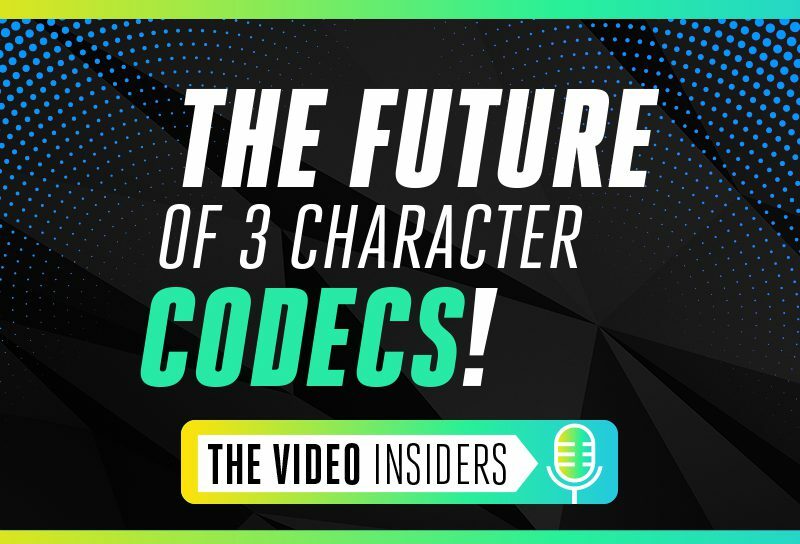 In Episode 02, The Video Insiders go head-to-head comparing two of the leading codecs in a three against one standoff over whether AV1 is more efficient than HEVC. So, which is more efficient? Listen in to this week’s episode, “Codec Efficiency Is in the Eye of the Measurer,” to find out. Tune in here or click play on the video below to listen now. Want to join the conversation? Reach out to TheVideoInsiders@beamr.com. Mark Donnigan: 00:41 Hi everyone I am Mark Donnigan and I want to welcome you to episode two of the Video Insiders. Dror Gill: 00:48 And I am Dror Gill. Hi there. 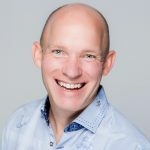 Mark Donnigan:	00:50	In every episode of the Video Insiders we bring the latest inside information about what’s happening in the video technology industry from encoding, to packaging, to delivery, and playback, and even the business behind the video business. 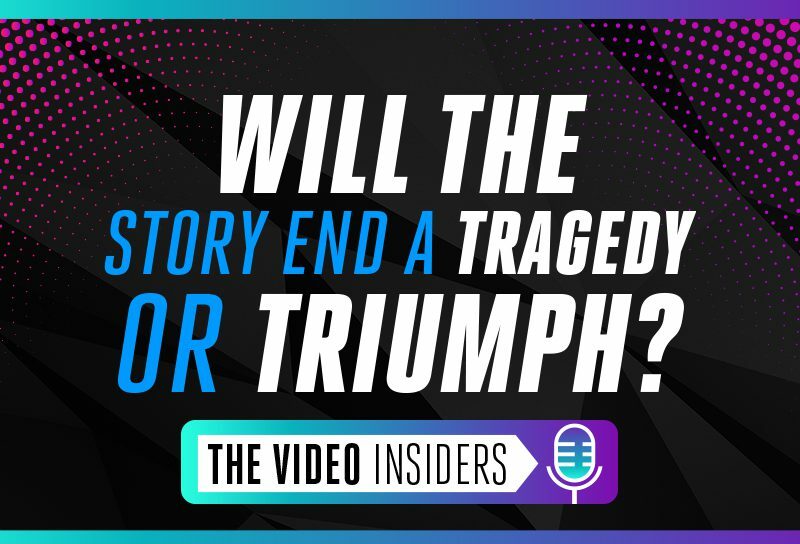 Every aspect of the video industry is covered in detail on the Video Insiders podcast. Dror Gill:	01:11	Oh yeah, we usually do cover everything from pixels, to blocks, to microblocks, to frames, to sequences. We go all the way up and down the video delivery chain and highlight the most important things you should know before you send any video bits over the wire. Mark Donnigan:	01:28	In our first episode we talked about a very hot topic which asked, “Hasn’t this kind of been worn out?” The whole HEVC, AV1 discussion. But I think it was very interesting. I sure enjoyed the talk. What about you Dror? Dror Gill:	01:47	Yeah, yeah, yeah. I sure did. It was great talking about the two leading codecs. I don’t want to say the word, codec war. Mark Donnigan:	01:58	No, no, we don’t believe in codec wars. Dror Gill:	01:59	We believe in codec peace. Mark Donnigan:	02:00	Yeah, that’s true. Why is it so complicated to compare video codecs? Why can’t it be as simple as fuel economy of cars, this one gets 20 miles per gallon and that one gets 30 and then I make a decision based on that. Dror Gill:	02:35	When you compare the codecs which profiles and levels do you use. What rate control method? Which specific parameters do you set for each codec? And each codec can have hundreds, and hundreds of parameters. Then there is the question of implementation. Which software implementation of the codec do you use? Some implementations are reference implementations that are used for research, and others are highly performance optimized commercial implementations. Which one do you select for the test? And then, which operating system, what hardware do you run on, and obviously what test content? Because encoding two people talking, or encoding an action scene for a movie, is completely different. Dror Gill:	03:13	Finally, when you come to evaluate your video, what quality measure do you use? There’re various objective quality measures and some people use actual human viewers and they assesses subjective quality of the video. On that front also, there’re many possibilities that you need to choose from. Mark Donnigan:	03:32	Yeah, so many questions and no wonder the answers are not so clear. I was quite surprised when I recently read three different technical articles published at IBC actually, effectively comparing AV1 versus HEVC and I can assume that each of the authors did their research independently. What was surprising was they came to the exact same conclusion, AV1 has the same compression efficiency as HEVC. This is surprising because some other studies and one in particular (I think we’ll talk about) out there says the contrary. So can you explain what this means exactly, Dror. Dror Gill:	04:16	By saying that they have the same compression efficiency, this means that they can reach the same quality at the same bitrate or the other way round. You need the same bitrate to reach that same quality. If you need for example, two and a half megabits per second to encode an HD video file using HEVC at a certain quality, then with AV1 you would need roughly the same bitrate to reach that same quality and this means that AV1 and HEVC provide the same compression level. In other words, this means that AV1 does not have any technical advantage over HEVC because it has the same compression efficiency. Of course that’s if we put aside all the loyalty issues but we discussed that last time. Right? Mark Donnigan:	04:56	That’s right. The guys who wrote the three papers that I’m referencing are really top experts in the field. It’s not seminar work done by a student, not to downplay those papers, but the point is these are professionals. One was written by the BBC in cooperation with the Multimedia and Vision Group at the Queen Mary University of London. I think nobody is going to say that the BBC doesn’t know a thing or two about video. The second was written by Ateme, and the third by Harmonic, leading vendors. Mark Donnigan:	05:29	I actually pulled out a couple of phrases from each that I’d like to quote. First the BBC and Queen Mary University, here is a conclusion that they wrote, “The results obtained show in general a similar performance between AV1 and the reference HEVC both objectively and subjectively.” Which is interesting because they did take the time to both do the visual assessment as well as use a quality measure. Dror Gill:	06:10	Yeah, very similar. Mark Donnigan:	06:16	And then here is what Harmonic said, “The findings are that AV1 is not more advantageous today than HEVC on the compression side and much more complex to encode than HEVC.” What do you make of this? Dror Gill:	06:32	I don’t know. It sounds pretty bad to me, even two of those papers also analyzed subjective quality so they used actual human viewers to check out the quality. But Mark what if I told you that researchers from the University of Klagenfurt in Austria together with Bitmovin published a paper which showed completely different results. What would you say about that? Mark Donnigan:	06:57	Tell me more. Dror Gill:	06:58	Last month in Athens I was the ICIP conference that’s the IEEE International Conference on Image Compression and Image Processing. There was this paper presented by this University in Austria with Bitmovin and their conclusion was, let me quote, “When using weighted PSNR, AV1 performs consistently better for bit rate compared to AVC, HEVC, and VP9.” So they claim AV1 is better than three codecs but specifically it’s better than HEVC. And then they have a table in their article that compares AV1 to HEVC for six different video clips. The table shows that with AV1 you get up to 25% lower bitrate at the same quality than HEVC. Dror Gill:	07:43	I was sitting there in Athens last month when they presented this and I was shocked. Mark Donnigan:	07:50	What are the chances that three independent papers are wrong and only this paper got it right? And by the way, the point here is not three against one because presumably there’re some other papers. I’m guessing other research floating around that might side with Bitmovin. The point is that three companies who no one is going to say that any of them are not experts and not highly qualified to do a video assessment, came up with such a different result. Tell us what you think is going on here? Dror Gill:	08:28	I was thinking the same thing. How can that be. During the presentation I asked one of the authors who presented the paper a few questions and it turned out that they made some very questionable decisions in all of that sea of possibility that I talked about before. Decisions related to coding tools, codec parameters, and quality measures. Dror Gill:	08:51	First of all, in this paper they didn’t show any results of subjective viewing. Only the objective metrics. Now we all know that you should always your eyes, right? Mark Donnigan:	09:03	That’s right. Dror Gill:	09:04	Objective metrics, nice numbers, but obviously you need to view the video because that’s how the actual viewers are going to assess the (video) quality. The second thing is that they only used the single objective metric and this was PSNR. PSNR, it stands for peak signal-to-noise ratio and basically this measure is a weighted average of the difference in peaks between pixel values of the two images. Dror Gill:	09:30	Now, we’re Video Insiders, but even if you’re not an insider you know that PSNR is not a very good quality measure because it does not correlate very well with human vision. This is the measure that they choose to look at but what was most surprising is that there is a flag in the HEVC open source encoder which they used that if chosen, the result is improved PNSR. What it does, it turns off some psycho-visual optimizations which make the video look better but reduce the PSNR, and that’s turned on by default. So you would expect that they’re measuring PSNR they would turn that flag on so you would get higher PSNR. Well, they didn’t. They didn’t turn the flag on! Dror Gill:	10:17	Finally, even then AV1 is much slower than HEVC, and they also reported in this data that it was much, much slower than HEVC but still they did not use the slowest encoding standing of HEVC, which would provide the best quality. There’s always a trade off between performance and quality. The more tools you employ the better quality you can squeeze out of the video, of course that takes you more CPU cycles but they used for HEVC, the third slowest setting which means this is the third best quality you can get with that codec and not the very best quality. When you handicap an HEVC encoder in this way, it’s not surprising that you get such poor results. Dror Gill:	11:02	I think based on all these points everybody can understand why the results of this comparison were quite different than all of the other comparison that were published a month earlier at IBC (by Ateme, BBC, Harmonic). Mark Donnigan:	11:13	It’s interesting. Mark Donnigan:	11:14	Another critical topic that we have to cover is performance. If you measure the CPU performance on encoding time of AV1, I believe that it’s pretty universally understood that you are going to find it currently is a hundred times slower than HEVC. Is that correct? Dror Gill:	11:32	Yeah, that’s right. Typically, you measure the performance of an encoder and FPS which is frames per second. For HEVC it’s common to measure an FPM which is frames per minute. Mark Donnigan:	11:42	Frames per minute, (more like) frames per hour, FPH. Dror Gill:	11:45	A year and a half ago or a year ago when there were very initial implementation, it was really FPD or FPH, Frames per hour or per day and you really needed to have a lot of patience, but now after they’ve done some work it’s only a hundred times slower than HEVC. Mark Donnigan:	12:02	Yeah, that’s pretty good. They’re getting there. But some people say that the open source implementation of AV1 I believe it’s AOM ENC. Dror Gill:	12:11	Yeah, AOM ENC. Mark Donnigan:	12:16	ENC exactly has not been optimized for performance at all. One thing I like about speed is either your encoder produces X number of frames per second or per minute, or it doesn’t. It’s really simple. Here is my next question for you. Proponents of AV1 are saying, “well it’s true it’s slow but it hasn’t been optimized, the open source implementation,” which is to imply that there’s a lot of room (for improvement) and that we’re just getting started, “don’t worry we’ll close the gap.” But if you look at the code, and by the way I may be a marketing guy but my formal education is computer science. Mark Donnigan:	13:03	You can see it already includes performance optimizations. I mean eptimizations like MMX, SSE, there’s AVX instructions, there’s CPU optimization, there’s multithreading. It seems like they’re already trying to make this thing go faster. So how are they going to close this a hundred X (time) gap? Dror Gill:	13:22	I don’t think they can. I mean a hundred X, that’s a lot and you know even the AV1 guys they even admit that they won’t be able to close the gap. I talked to a few senior people who’re involved in the Alliance for Open Media and even they told me that they expect AV1 to five to 10 times more complex than HEVC at the end of the road. In two to three years after all optimization are done, it’s still going to be more complex than HEVC. Dror Gill:	13:55	Now, if you ask me why it’s so complex I’ll tell you my opinion. Okay, this is my personal opinion. I think it’s because they invested a lot of effort in side stepping the patents (HEVC). Mark Donnigan:	14:07	Good point. I agree. Dror Gill:	14:07	They need to get that compression efficiency which is the same as HEVC but they need to use algorithms that are not patented. They have methods that use much more CPU resources than the original patent algorithms to reach the same results. You can call it kind of brute force implementation of the same thing to avoid the patent issue. That’s my personal opinion, but the end result I think is clear, it’s going to be five to 10 times slower than HEVC. It has the same compression efficiency so I think it’s quite questionable. This whole notion of using AV1 to get better results. Mark Donnigan:	14:45	Absolutely. If you can encode let’s say on a single computer with HEVC a full ABR stack, this is what people want to do. But here we’re talking speeds that are so slow let’s just try and do (encode) one stream. Literally what you’re saying is you’ll need five to 10 computers to do the same encode with AV1. I mean, that’s just not viable. It doesn’t make sense to me. Dror Gill:	15:14	Yeah, why would you invest so much encoding into getting the same results. If you look at another aspect of this, let’s talk about hardware encode. Companies that have large data centers, companies that are encoding vast amount of video content are not looking into moving from the traditional software encoding and CPUs and GPUs, to dedicated hardware. We’re hearing talks about FPGAs even ASICs … by the way this is a very interesting trend in itself that we’ll probably cover in one of the next episodes. But in the context of AV1, imagine a chip that is five to 10 times larger than an HEVC chip and which is the same complexity efficiency. The question I ask again is why? Why would anybody design such a chip, and why would anybody use it when HEVC is available today? It’s much easier to encode, royalty issues have been practically solved so you know? Mark Donnigan:	16:06	Yeah, it’s a big mystery for sure. One thing I can say is the Alliance for Open Media has done a great service to HEVC by pushing the patent holders to finalize their licensing terms … and ultimately make them much more rational shall we say? Mark Donnigan:	16:25	Let me say that as we’re an HEVC vendor and speaking on behalf of others (in the industry), we’re forever thankful to the Alliance for Open Media. Dror Gill:	16:36	Definitely, without the push from AOM and the development of AV1 we would be stuck with HEVC royalty issue until this day. Mark Donnigan:	16:44	That was not a pretty situation a few years back, wow! Mark Donnigan:	16:52	That’s right. Dror Gill:	16:52	Billions of devices support HEVC and royalty issues are pretty much solved, so that’s great. I think we’ve covered HEVC and AV1 pretty thoroughly in two episodes but what about the other codecs? There’s VP9, you could call that the predecessor of AV1, and then there’s VVC, which is the successor of HEVC. It’s the next codec developed by MPEG. Okay, VP9 and VVC I guess we have a topic for our next episode, right? Mark Donnigan:	17:21	It’s going to be awesome. Narrator:	17:23	Thank you for listening to the Video Insider podcast a production of Beamr limited. To begin using Beamr codecs today go to beamr.com/free to receive up to 100 hours of no cost HEVC and H.264 transcoding every month.